The CANDLE … warm glow, dancing of the flame, the slow drip of the fragrant wax. Soothing isn’t it? One could sit for hours in its shadow, just admiring the effect it has on us. While leading bible study, we were immersed in the Tabernacle of Moses, an amazing study. As the women entered the room, they are greeted with a white linen covered table; with two tapered candles burning in long stem crystal holders. The atmosphere is warm and elegant, inviting. There is something about … a flickering flame. Oh, we may not be calling God down from heaven these days to consume our sacrifice to prove a point, but the use of the flame on a smaller note, we can understand. The theme of the candle or lamp in the bible is strong. 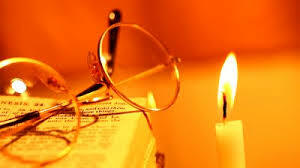 In Psalm 18:28 David writes “For thou wilt light my candle: the LORD my God will enlighten my darkness”. Psalm 119:105 “Your word is a lamp to my feet and a light for my path”. It is God that burns, His presence, His word that lights our way; it is in our very next step we desire Him to be present. Light our way O God! 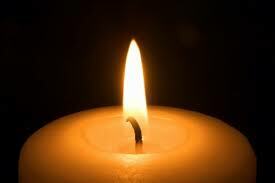 With the joy and privilege of the candle comes responsibility, tending. The priests DAILY tended to the lamp in the Tabernacle. Along with the sacrifice, the water, the light, these needed daily attention. When God gave strict instruction of the articles for the Tabernacle, He included the ‘wick trimmers’. Exodus 25:38, the wick trimmers were made of pure gold. As I researched this, I was amazed to find the need that as we trim the wick short; we ‘cut off yesterday’s fire.’ It was described that the wick begins to have a small build up, causing the flame not to burn pure and too fast. This is the black soot that flows from the flame; it is drowning in a large pool of melted wax. This soot seems to fall and attach itself to those things closest to the candle. Hm… think on that. Drowning in melted wax, black icky stuff attached. We trim for a fresh, even, pure, lasting flame! Fresh Fire! Does that stir something in you? The Lord spoke to me about the need to come DAILY, seeking His presence, His word, that FRESH FIRE, depending not on yesterday’s experience! As I trim my wick and prepare for a fresh word from God, His presence comes. As He did with Moses, He will reveal Himself to me, commissioning me for the day. As the Israelites, He will guide me. As His temple, He will fill me. Just like Elijah, He will do great things in my midst. I will seek the constant flame, NOT allowing a cool down. How is our flame burning? Is it yesterdays fire, has it cooled down or gone out completely? Seek as David did,.. ‘light my candle O God! This entry was posted on April 24, 2015 by Inspired Fountain. It was filed under * Miscellanous Stuff and was tagged with candle in the Tabernacle, fresh fire of God, Trim the wick.